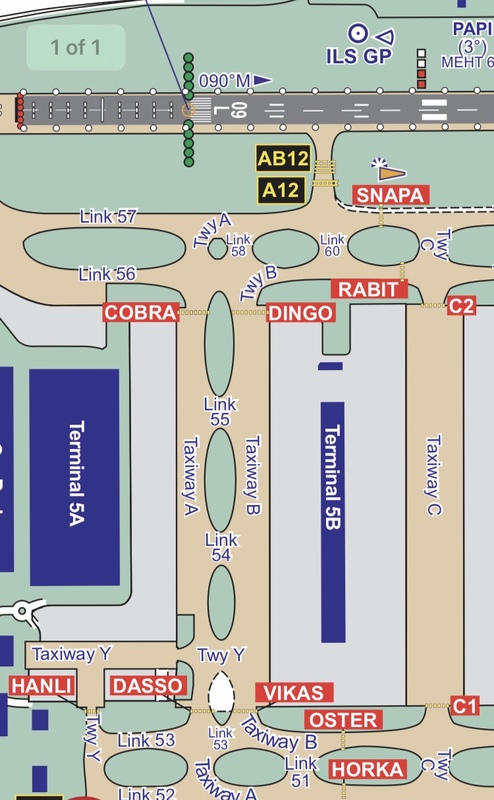 They are named holding points; this allows them to say things like "taxi to RABIT" rather than "taxiway Bravo, hold short of taxiway Charlie". This saves a lot of time for ground controllers at busy, complicated airports. Not the answer you're looking for? Browse other questions tagged aeronautical-charts taxiing airport-design or ask your own question. What is that building in Suvarnabhumi Airport? On an IFR Low Altitude Chart what does this symbol mean? Why are so few heliports depicted on sectionals? What does the solid black star symbol on this VNC chart mean? What does a numbered dot mean on a sectional chart? What is the difference between the red and black box identifiers on UK airport charts? Does anyone know what this approach chart symbol is?